Summer is quickly drawing to a close and thanks to our student worker Jack, we have quite a lot to show for our summer. He has been diligently scanning scrapbooks, photographs, negatives and original documents. Here’s a taste of some of the new old items now available on TopScholar. 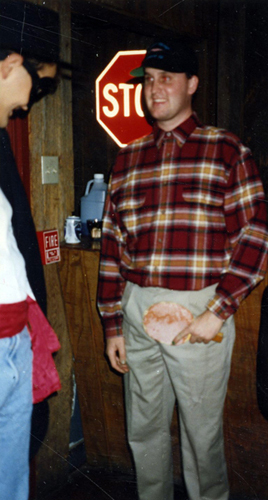 A quick search of KenCat for Halloween revealed several entries for photographs including this one of Jerry Wolf dressed as Zorro and Justin Mylor dressed as Forrest Gump at a Phi Delta Theta party. 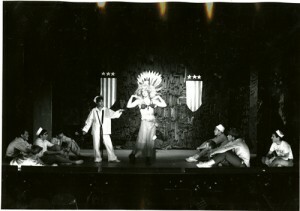 There are also images from a West Hall celebration in 1945 and president Thomas Meredith celebrating in the 1990’s. Part 2 consisted of an “intermission” and guests were “given an opportunity to patronize the refreshment stands in Cabell Hall and the Fort.” The sixth graders had an autumn booth in the old fort and a Japanese Tea in Cabell Hall. Grade 5 provided a county booth and the first graders sold candy in Cabell Hall. The carnival reconvened in the Training School Chapel at 8:15 where the 8th grade performed a circus. There was also a fish pond where fish were sold for a nickel a piece. Do you remember a special Halloween on the Hill? Share your memories with us. President Henry Cherry was a man of many and varied interests and we know this by the scrapbooks he had created during his administration 1906-1937. These are held in WKU Archives and we are about half way through processing them. Most of the scrapbooks are in good condition. While education and Western Kentucky University head the list of topics covered, religion, the Temperance Movement and World War I are well represented. There are several scrapbooks dedicated to Cherry’s own personal political aspirations, his candidacy for Kentucky governor and his promotion of rural life through chautaquas held in Warren and the surrounding counties. The collection inventory has been posted on TopScholar and gives more detail regarding these materials. These and many other records are available for researchers through our online catalog, KenCat and in the Harrison-Baird Reading Room of the Kentucky Library & Museum Monday – Saturday, 9 – 4. 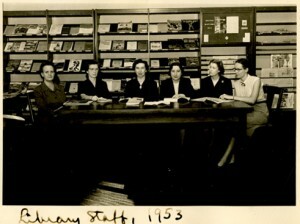 This and other articles about the WKU Libraries’ history are now available online in the first two library scrapbooks covering the period 1911 through 1959. 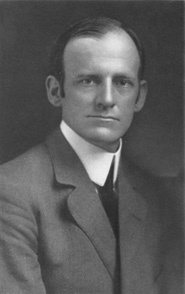 In addition to newspaper clippings, there are photographs of the library, faculty and staff members along with some biographical sketches of early librarians and staff. These and other records regarding the history of Western are available in the University Archives and online through KenCat. 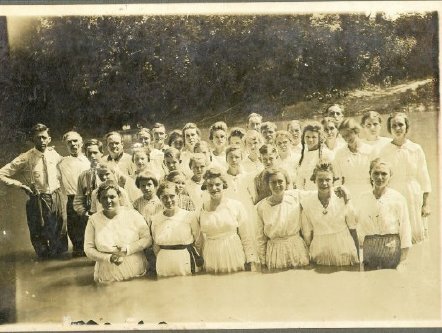 My great-grandfather was Baptist Minister; do you have any church records or minutes in your collections? 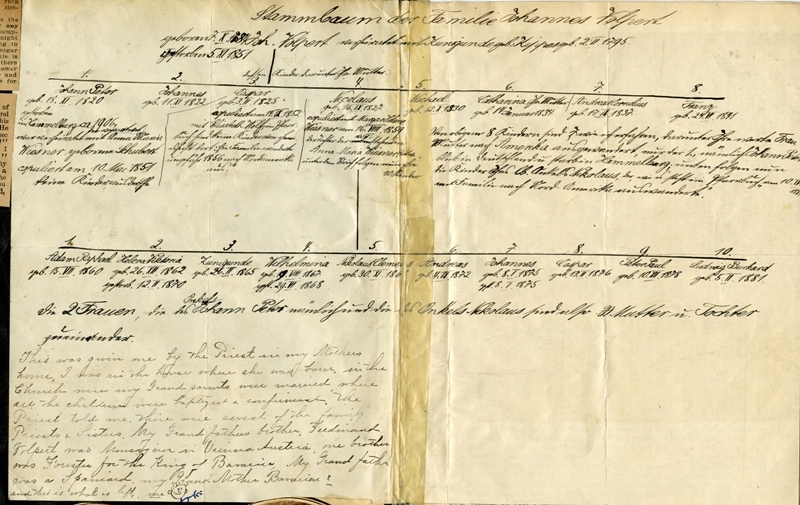 Church records are among the best records for genealogists to locate and study. They can provide information that is not recorded in any other source such as births, baptisms, marriages, deaths, and even the burial location of your ancestor. Additionally, you can learn about your ancestor’s participation in the church’s life or separation/transfer from the church rolls. Discipline in churches has changed dramatically over the years but in many cases, members were removed from the church for non-attendance, profanity, drinking or dancing. They can reveal the extent to which your ancestors participated in religious affairs. They are also helpful for tracing family relationships or migration patterns. For those ancestors who were ministers, priest or rabbis, biographical information may be found in a printed source, obituary listing or in church or synagogue archives. Finding theses important records can be difficult. Many churches do keep good records but they may have been sent to a central archive, placed in private hands or given to a historical society or special collections library. Fortunately, many churches have microfilmed these records, or at least given copies to local organizations. Other records have been published in book form and may be found by using TOPCAT. There are excellent chapters on the information provided by church records and how to locate them in The Source: A Guidebook of American Genealogy, edited by Arlene Eakle and Johni Cerny (Ancestry Publishing, Salt Lake City, Utah, 1984) and in Val Greenwood’s revised edition of the Researcher’s Guide to American Records (Genealogical Publishing Co., Baltimore, Md., 1990. Today, scrapbooking is a popular pastime but fortunately for historians and genealogists, this activity is not new. 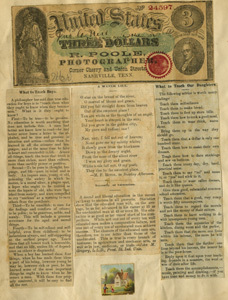 Many early scrap bookers were also genealogists and through their scrapbooking activities, they preserved not only a part of their life, but left a legacy of their family’s history. Many of the scrapbooks in our collections contain such diverse items as photographs, correspondence, telegrams, tickets, obituaries, booklets, programs, correspondence and newspaper photographs and clippings, certificates, telegrams, narratives, bills of undertakers, promotional notices, grade and postcards. These wonderful time capsules show that with care and consideration genealogy and family history can very easily incorporated into today’s scrapbooking to create lasting legacies. Elizabeth Curd Tucker was born February 9, 1863 near Glasgow, Kentucky. She attended Glasgow Normal School graduating in 1880 when she delivered the valedictory speech at commencement. The Glasgow Normal School was the first incarnation of what has become Western Kentucky University. 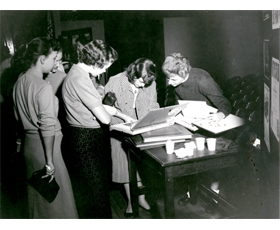 In 1975 her daughters donated Mrs. Tucker’s scrapbook to University Archives. valedictory, p. 50.”Graduates of Glasgow Normal School,” p. 58. The scrapbook has been digitized and is now available on TopScholar. 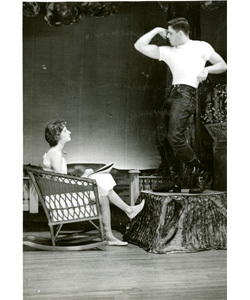 Anna Fisher of McHenry, Kentucky attended WKU and graduated in the Class of 1932. 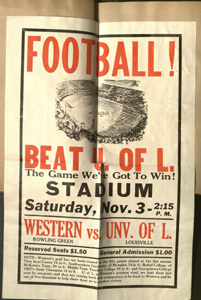 This scrapbook includes unique items not found elsewhere in the University Archives collections including a homecoming poster for WKU vs University of Louisville football game and game program for WKU vs Cumberland College, 1928. Anna Fisher went on to teach at Bunker Hill in Equality, Kentucky. A scrapbook she kept during those years “Memories of Bunker Hill School, 1929-1930” is also available in the Kentucky Library Call # SBK166. Ask to see it in the Harrison-Baird Reading Room of the Kentucky Building. 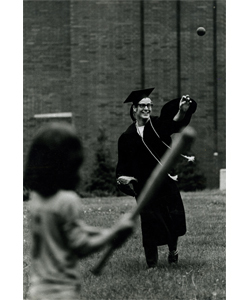 Check out this and similar student/alumni collections in TopScholar.